At Saint Miriam, we understand that the death of a pet is one of the most difficult situations pet owners face and we are committed to caring, compassionate, and dignified service by providing a meaningful option for a lasting memorial. That is why we created our Angels of Assisi Pet Memorial Garden. 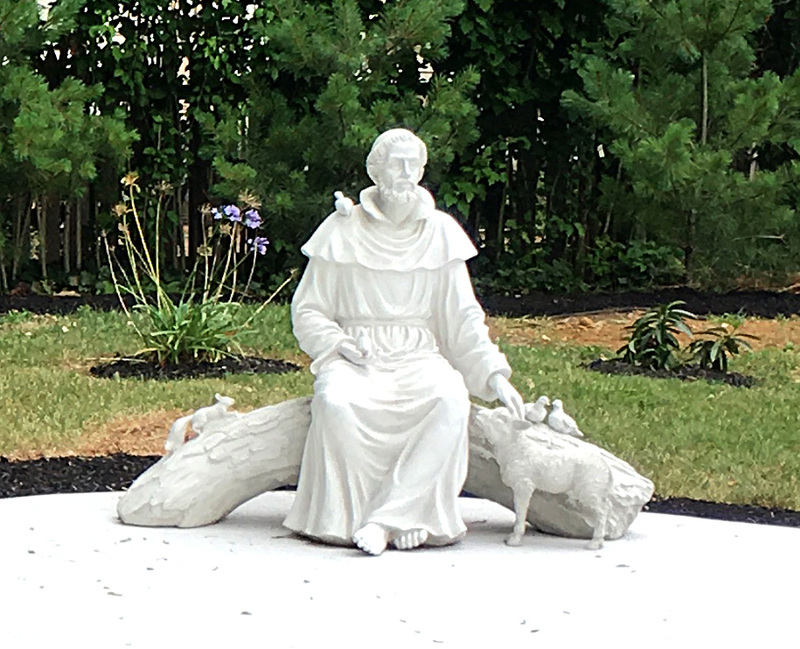 Our beautiful memorial section is anchored by an intimate sanctuary for mediation and prayer featuring one of our campuses beautiful St. Francis garden sculptures, entitled, “St. Francis at Ease with His Friends”, that will bring you peace and comfort. St. Francis rises over three feet high on a generous, four-foot-long log perch. The Italian patron saint of nature, and our Franciscan community, reaches toward the gentle lamb at his feet, showcasing amazing detail from the folds of his garment to his benevolent expression. We offer a full line of pet cremation urns and tributes, as well as a beautiful and tranquil setting for cremation burial options. 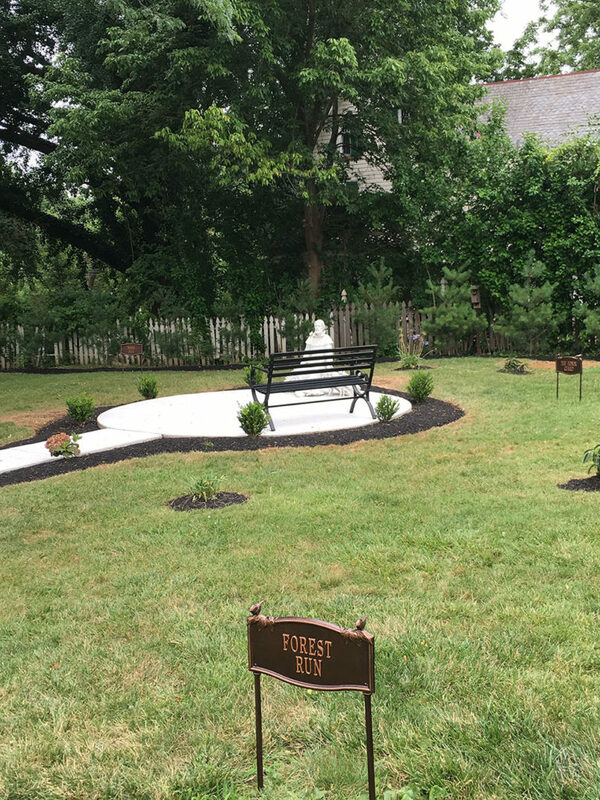 Our pet memorial section includes a garden path walkway and reflection site, an Honor Garden Section for Service and Military Service Animals, and is divided into meaningful tribute areas including Noah’s Hill, Forest Run, Gentle Breeze, and Maggie’s Glen, our communal cremation section. 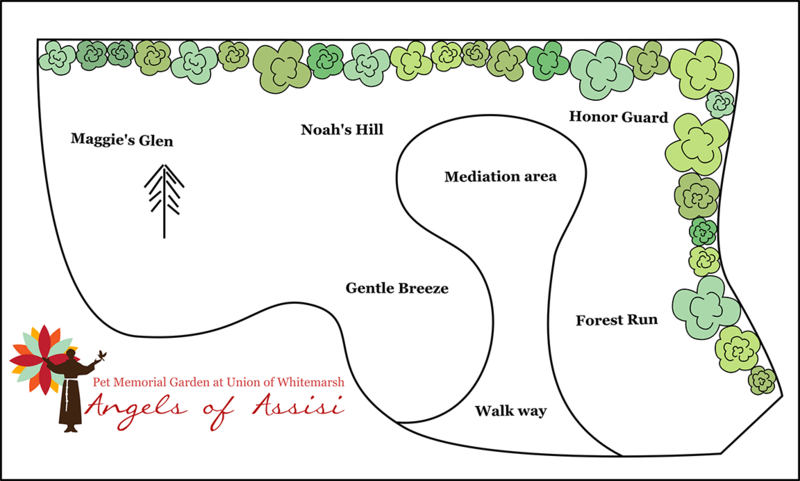 Come and experience this solitude and allow Angels of Assisi to be a place of rest for you and your best friend. 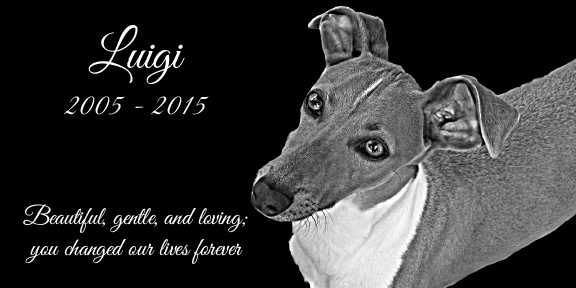 Burial for “Service Dogs” is available in The Honor Garden at Angels! Search and Rescue dogs, Seeing-Eye Dogs, Police Dogs, K-9 support and Military Service dogs, and other Service Animals are buried in an area reserved just for them. 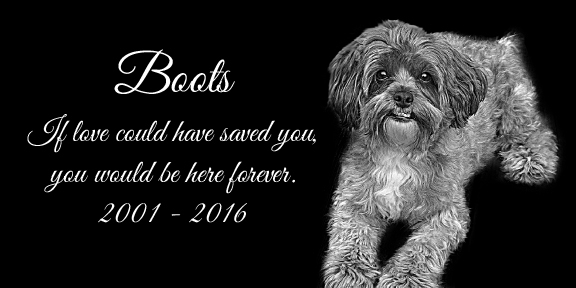 We will dedicate a page on this website for each pet buried in honor of their service, and include their handlers’ contributing photos and their full life stories. We pay homage to their life of service to humanity and join the community in honoring a legacy of unconditional love. Please contact us for more information and for special discounts for all police and military animals. All lots/graves require a one time continuous care fee of $100 to help us maintain the beauty and dignity of this memorial section.